Hrithik Roshan, ex-wife Sussanne Khan and their kids Hrehaan and Hredhaan went to Juhu PVR for a movie. They reportedly watched Avengers: Infinity War. Hrithik wore a white T-shirt and blue denim for the outing. Sussanne was also casually dressed. Rakesh Roshan also accompanied them. Arjun Kapoor was also photographed at the same theatre. He was accompanied by sister-in-law Antara. Boney Kapoor also came to watch a movie. 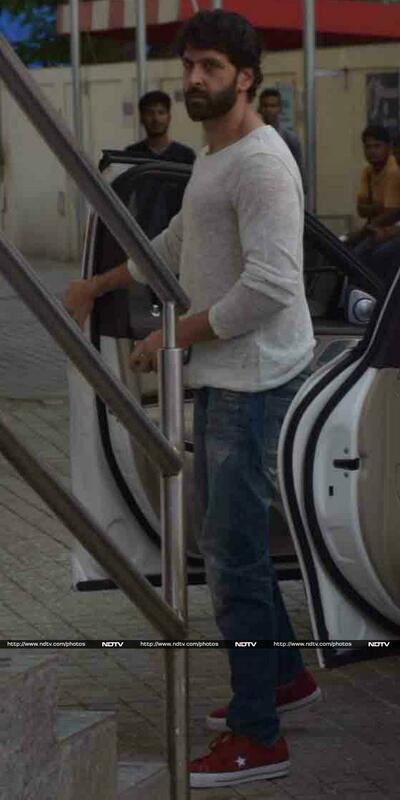 Arjun's cousin Mohit Marwah pictured at the theatre. Sonali Bendre, we loved your casual yet chic style.